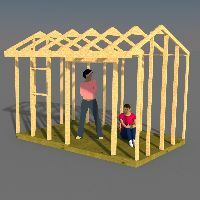 I'm building your 10X12 Saltbox shed and I don't understand why I have to build the header 1/2" thicker than the frame. Also, which side of the header should stick out, the outside of the shed (front of the door) or the inside. It seems like if its the front, it's going to be in the way of the siding. I'm really enjoying the construction so far and thanks for your help! 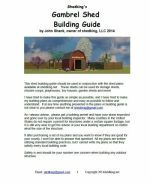 This is a good question because building a door header can be somewhat confusing if you have never done it before! 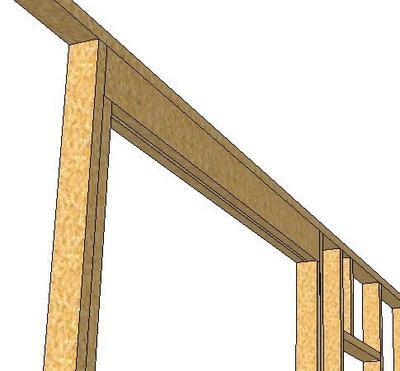 First off, 2x4 framing for shed walls is 3.5" wide. 3" - two 1.5" outside 2x material. 1/2" The middle filler piece which can be plywood or osb. 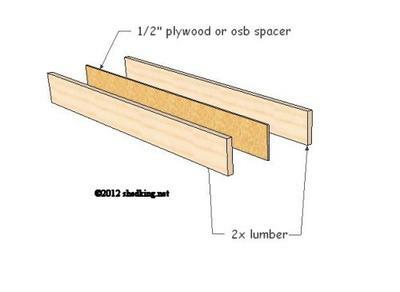 So, you header if built properly will equal exactly the thickness of a 2x4 wall. 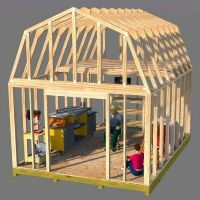 With this in mind, you will not have any 1/2" protrusion of the header on either side of the wall framing. 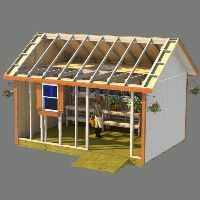 I hope this clears up any confusion Rob on the construction of a door header for your saltbox shed.